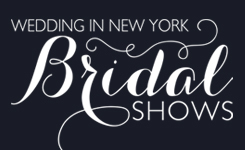 Syracuse wedding reception locations and venues have much to offer. As a little girl you always dreamed of your wedding day. Trying to decide on a venue that will suit your needs can be difficult. Your wedding reception options are limitless whether you choose indoor, outdoor, banquets halls or garden catered. 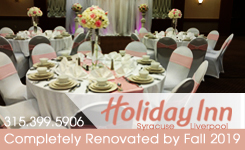 Your wedding can be as traditionally elegant or beautifully modern as you wish.To plan the perfect Syracuse reception, contact the professionals listed below. Ballroom at the Comfort Suites Cicero Belhurst Castle Borio's Burlap and Lace Barn Chantelle Marie Celebration Venue Copper Top Tavern Crowne Plaza Syracuse del Lago Resort & Casino DoubleTree by Hilton Syracuse Genesee Grande Hotel Geneva On The Lake Hampton Inn & Suites Cazenovia Heritage Wedding Barn Marriott Syracuse Downtown Peppino's Sheraton Syracuse University Stone's Steakhouse The Lincklaen House Upstate Party Rental Inc.